This test detects the single basepair change in exon 15 in the CLCN1 gene. → Impaired movement due to muscle rigidity. Any information you include here is optional, but will be included on the certificate of results (except “Aditional Info”). 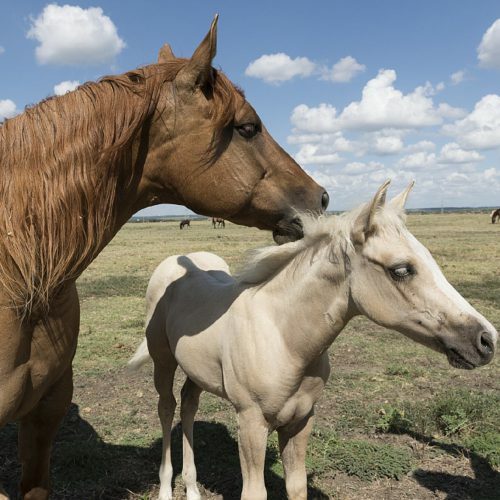 Foal may seem healthy when born but symptoms may evolve and worsen over time. 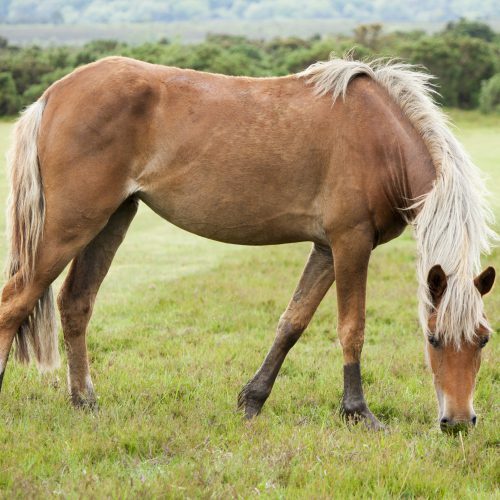 Symptoms mentioned in the “Symptoms” tap are caused by the general muscle stiffness in the affected horse. → CM is an autosomal recessive hereditary disease, meaning that horses with only one copy of the genetic variant (N/cm) are clinically normal carriers while horses with two copies of the genetic variant (cm/cm) are affected. N/N normal. 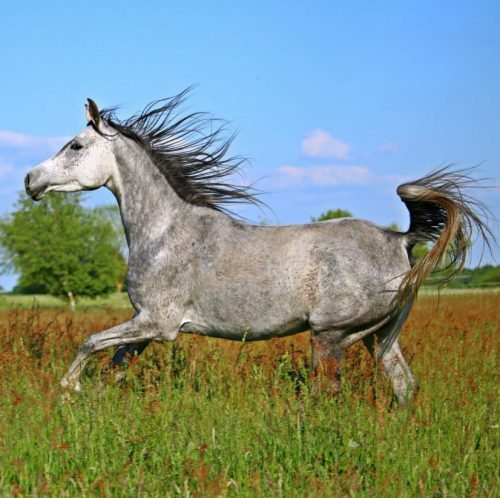 The horse does not have any copies of the genetic variant causative for CM and therefore cannot pass it on to any offspring. N/cm a carrier. The horse is clinically healthy. It has one copy of the genetic variant causitive for CM, which will be passed on to its offspring with a probability of 50%. cm/cm affected. The genetic variant causative for CM will be passed on to all offspring. All offspring will be carriers (N/cm). Carriers may be bred to normal animals (N/cm x N/N) without any risk of producing affected offspring. The offspring should also be tested before breeding to determine if they are carriers or normal. Breeding two carriers (N/cm x N/cm) is not recommended due to the possibility of 25% of the offspring being affected. Affected animals (cm/cm) should not be used for breeding. Wijnberg, I.D., Owczarek-Lipska, M., Sacchetto, R., Mascarello, F., Pascoli, F., Grünberg, W., van der Kolk, J.H., Drögemüller, C.: A missense mutation in the skeletal muscle chloride channel 1 (CLCN1) as candidate causal mutation for congenital myotonia in a New Forest pony. Neuromuscul Disord 22:361-7, 2012. Pubmed reference: 22197188. Doi: 10.1016/j.nmd.2011.10.001. Further information is available at Online Mendelian Inheritance in Animals.